In their book, Interactions: Collaboration Skills for School Professionals, Marilyn Friend and Lynne Cook identify "co-teaching as a specific service delivery option that is based on collaboration." As a service delivery option, co-teaching is designed to meet the educational needs of students with diverse learning options. Students at all academic levels benefit from alternative assignments and greater teacher attention in small-group activities that co-teaching makes possible. Co-teaching allows for more intense and individualized instruction in the general education setting increasing access to the general education curriculum while decreasing stigma for students with special needs. Students have an opportunity to increase their understanding and respect for students with special needs. Students with special needs have a greater opportunity for continuity of instruction as the teachers benefit from the professional support and exchange of teaching practices as they work collaboratively. 1. One Teach, One Observe. One of the advantages in co-teaching is that more detailed observation of students engaged in the learning process can occur. With this approach, for example, co-teachers can decide in advance what types of specific observational information to gather during instruction and can agree on a system for gathering the data. Afterward, the teachers should analyze the information together. 2. One Teach, One Assist. In a second approach to co-teaching, one person would keep primary responsibility for teaching while the other professional circulated through the room providing unobtrusive assistance to students as needed. 3. Parallel Teaching. On occasion, student learning would be greatly facilitated if they just had more supervision by the teacher or more opportunity to respond. In parallel teaching, the teachers are both covering the same information, but they divide the class into two groups and teach simultaneously. 4. Station Teaching. In this co-teaching approach, teachers divide content and students. 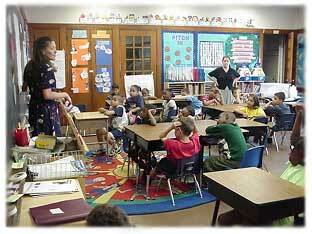 Each teacher then teaches the content to one group and subsequently repeats the instruction for the other group. If appropriate, a third station could give students an opportunity to work independently. 5. 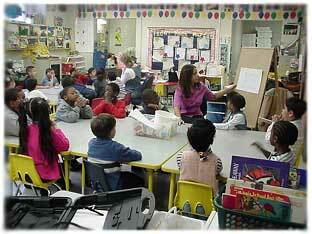 Alternative Teaching: In most class groups, occasions arise in which several students need specialized attention. In alternative teaching, one teacher takes responsibility for the large group while the other works with a smaller group. 6. 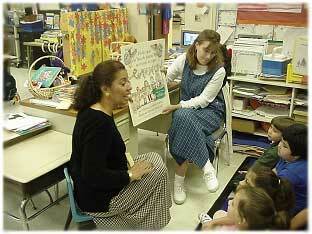 Team Teaching: In team teaching, both teachers are delivering the same instruction at the same time. Some teachers refer to this as having one brain in two bodies. Others call it tag team teaching. Most co-teachers consider this approach the most complex but satisfying way to co-teach, but the approach that is most dependent on teachers' styles.